Why do you care about stress relief made easy? Stress, the silent killer, can sabotage a job or a relationship. Stress is a greater concern to heart patients than cholesterol, according to new research. And can lead to a heart attack. Stress is a big problem for today's marriages and intimate relationships. Perhaps the number one problem! Stress can take a toll on relationships, especially intimate ones, and cause spouses to turn away from each other, or dread spending time with the stressed spouse. By adopting effective strategies for defeating stress, we keep our relationships strong. Every couple should make an action plan...since many good relationships go bad through neglect and stress! We know how quickly the pressures of modern life stack up, perhaps invisibly attacking our relationships. Our hectic lifestyles, ambitious undertakings and outlandish expectations often undermine our best intentions. In our quest to have it all, we may wind up with more tension than we bargained for. In today's world, stressed‑out relationships are inevitable. And their ill‑effects are compounded by our hectic way of life. Since stress in human relationships is contagious, it can wreck a marriage. It often brings a great deal of emotional fallout from outside the home with us, and inadvertently drops it at the feet of our loved ones. Most of us find ourselves in the throws of the fight or flight or freeze response syndrome at work. The pressure builds up until everyone seems ready to explode. Stressed-out spouses often end up criticizing each other, striking out when least expected, projecting anger, blame and frustration onto the ones we love the most. Why? One reason only, because they are there, in the line of fire. And aren't they the ones who are supposed to make everything better? Stress can hold an intimate relationship hostage. It can rob it of joy, long before you realize what is at fault. It's as if one embattled spouse infects the other. Stress relief is just what the doctor ordered. Paul J. Rosh, MD, refers to this as ". . . the domino effect of stress," in his book, "Coping with the Stressed‑out People in Your Life." Thus, when subjected to seemingly overwhelming demands, one's most important relationships can take on the semblance of a never ending crisis. ...Many couples can be helped by simply becoming aware of the role the silent killer plays in their relationship, and by making a simple plan to address it. By dealing with this monster head‑on they often make dramatic improvements and report feeling happier. Instead of blaming each other for the declining level of satisfaction in their marriage, they can target the real problem, and no one has to lose. Consider it a win‑win perspective. Then each person can work enthusiastically to rid the relationship of excess and harmful stress. For Stress relief follow these steps. I recommend that couples (or families) sit down and talk about the stress that may be eating away at their relationship. If a spouse is overwhelmed or stressed out, the other spouse should ask what they can do to help. You must talk calmly and without pointing fingers. Stop criticizing the other. Criticism is harmful any time, but especially when people are under additional stress. A sick child or parent in the couple's care can bring out the worst in everyone. Don't mistreat your partner or be unkind. Learn to deal with your pressures, rather than letting them get the best of your relationship. If you find yourself feeling ransacked by stress, pull yourself together and deal with it before spending time with your spouse. Get regular exercise. Exercise lowers stress levels and decreases depression and anxiety. Engage in a hobby. Take some down time and do nothing. Practice the art of yoga, mindfulness or meditation. Go on a spiritual retreat to recharge your batteries, find inspiration, and enhance your energy level. It may be helpful to talk about ways you can simplify your lives, too. If you are trying to do too much, agree to slow down and cut back. Simplify. Enjoy what you have. Less is more. Stop striving to add more and more responsibility! Learning to balance your life is an essential skill that eludes many people today. A professional coach can help you achieve greater balance, and make lifestyle changes that will help everyone to derive more pleasure and meaning from life. A stressful life is often a life out of balance. Do write a simple stress reduction plan. Each spouse should decide what job he/she would like to do in bringing about change, or what she/he would like to work on. Set practical and realistic goals. If something is wrong, deal with it. Don't put off delicate discussions. Get it out in the open and address it together. Now. Buried problems only create eventual faults in the bedrock of your marriage. Keep everything above board, and do nothing for which you will eventually be ashamed. Work as a team, not two separate individuals. If you see that circumstances are pulling you apart, take action. Your relationship can be bigger than any circumstance. Put it first. Make it a priority. Couples who value their relationship, act on its behalf and work on stress relief as a team stay together. Be mindful of each other's stress levels. Work together if stress is ill-affecting your relationship. Talk about the problems causing the stress. Ask how you can help each other to deal with high stress levels. Be aware of how stress scan impact your relationship, and take steps to lower your stress. 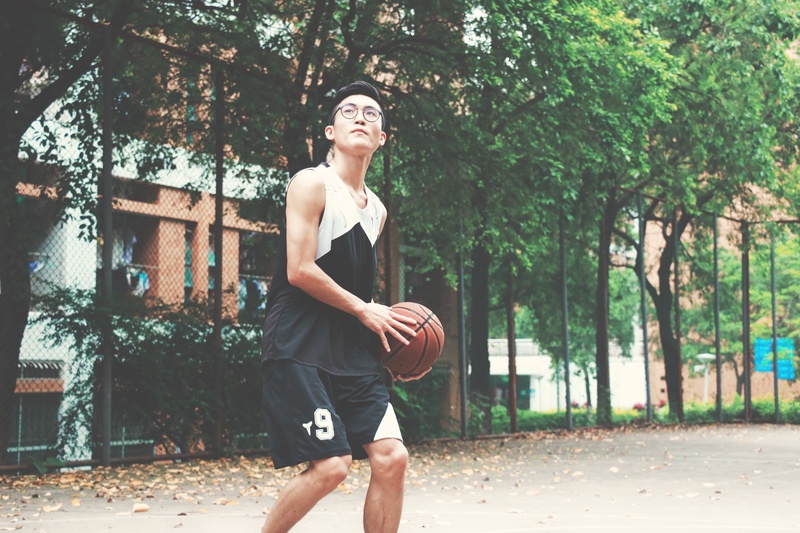 Exercise, do a hobby and get away to have fun on a regular basis. 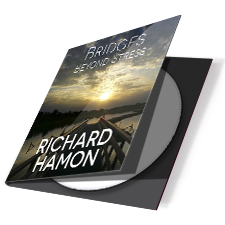 Discover how Bridges Over Stress audio program can lower your stress and connect you to deep healing states within . . . Read More! Sign Up for My Informative eZine . . . I Care about Relationships. I'm always striving to improve mine and to help my Clients build theirs. Want access to my Latest Discoveries?